Although my formal education was not in art, I’ve had a lifelong interest in art, art history and through my mother who was a well-known California artist. I began my art career in 1994 after I retired from the California State University Chancellor’s Office. Since then I have taken many watercolor and acrylic classes and workshops, studying for five years with Chris Keylock Williams. 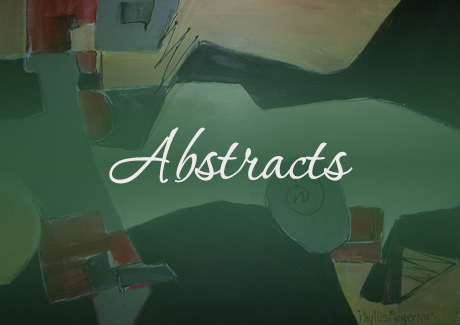 My work ranges from abstract to impressionistic with an emphasis on intense color, abstract shapes and the use of calligraphic line. I work in a wide variety of aqueous media. 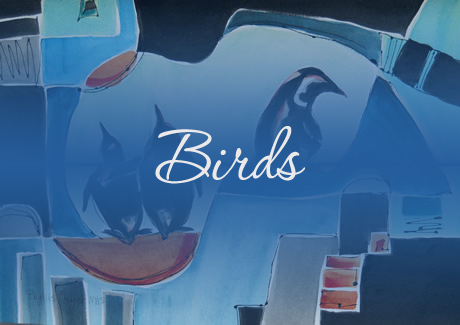 Sometimes I paint birds (often crows) in various settings and activities. Other times I enjoy painting nonrepresentational abstracts, recently completing a series of talismans and starting a new series of entirely interrelated shapes and popping colors. Whichever subject (or non), I hope the viewers respond to my spontaneity, humor and joy in applying paint to paper. My paintings are included in permanent corporate collections (City of Beaverton, Don Morrisette Headquarters, Daniel Smith Collection, Pacific University) as well as many private collections. I am represented at Currents Gallery in McMinnville and the Village Gallery of Arts in Portland. 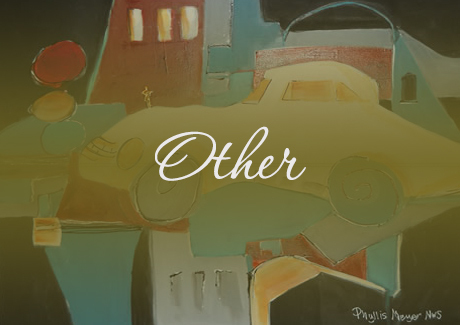 I have exhibited in numerous juried, group and solo shows locally, regionally and nationally winning numerous awards. 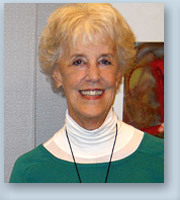 Memberships include the Watercolor Society of Oregon (1996 to present, Signature Member), the Northwest Watercolor Society (1996 to present, Signature Member), Village Gallery of Arts (1993 to present), the Beaverton Arts Commission (1996 to present) and the National Watercolor Society (2005 to present, Signature Member). 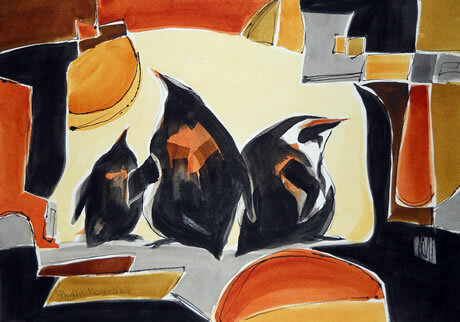 I was juried into the 141st American Watercolor Society Show. In November I was featured in an Oregonian article and had an interview on OPB’s Art Beat. Contact Phyllis for questions or purchase information. 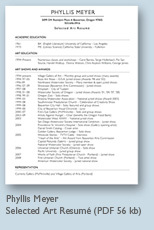 See her selected art resumé. The controls allow you to pause, rewind or forward the display; click the 'grid' symbol to display the floating thumbnail palette to select artwork; use the slider to set the speed. Title: Inner Circle, watercolor, 14x20 (22x28 framed), matted. Click image to inquire with artist about this work. Title: Shipshape, watercolor, 14x20 (22x28 framed), matted. 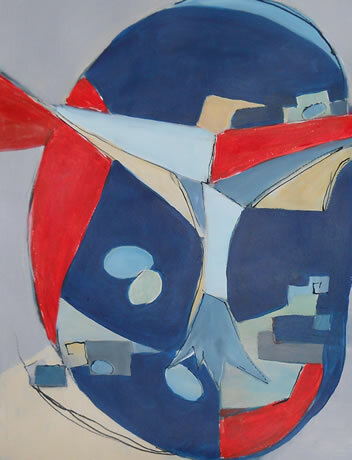 Click image to inquire with artist about this work. 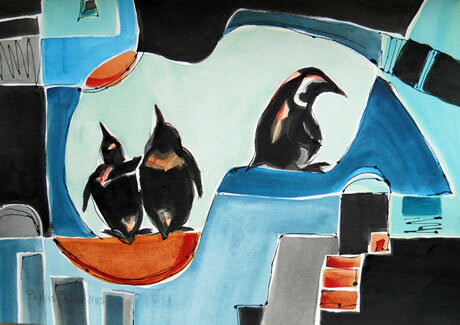 Title: Midnight Parade, watercolor, 14x20 (22x28 framed), matted. Click image to inquire with artist about this work. Title: Lost in the Moment, watercolor, 14x20 on paper (22x28 framed, matted). Click image to inquire with artist about this work. 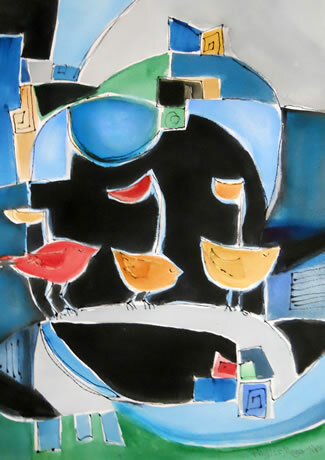 Title: Lost in the Moment 3, watercolor, 14x20 on paper (22x28 framed, matted). Click image to inquire with artist about this work. 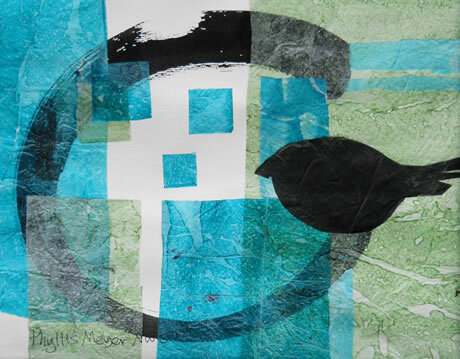 Title: Enso Bird 1, ink and acrylic collage, 9x12 on paper (16x20 framed, matted). Click image to inquire with artist about this work. 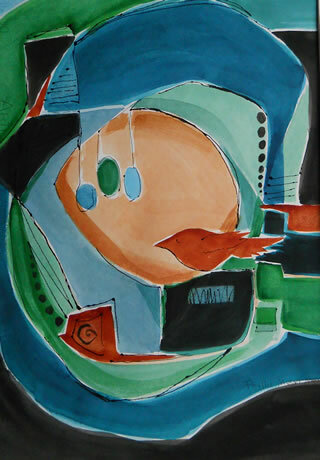 Title: Enso Bird 2, ink and acrylic collage, 9x12 on paper (16x208 framed, matted). 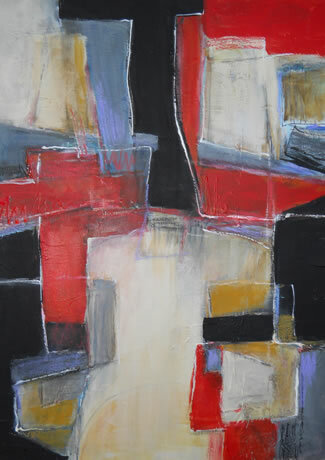 *SOLD* Click image to inquire with artist about this work. 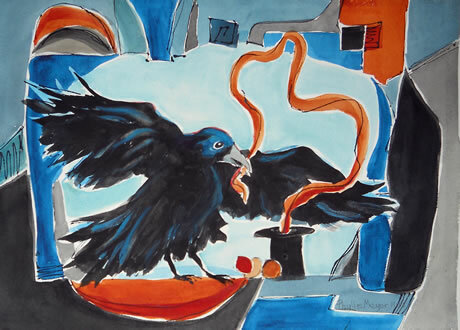 Title: The Magician, watercolor, 14x20 on paper (22x28 framed, matted). Click image to inquire with artist about this work. 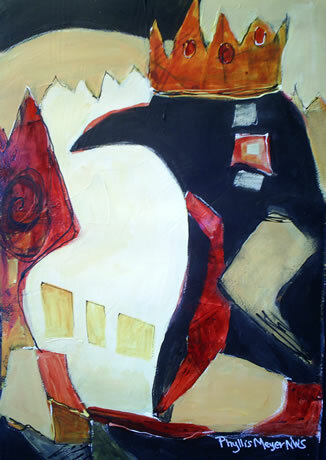 Title: King of the Penguins, mixed-media, 14x20 (22x28 framed), matted. Click image to inquire with artist about this work. Title: I Love A Parade, acrylic and collage, 14x20 (22x28 framed), matted. Click image to inquire with artist about this work. 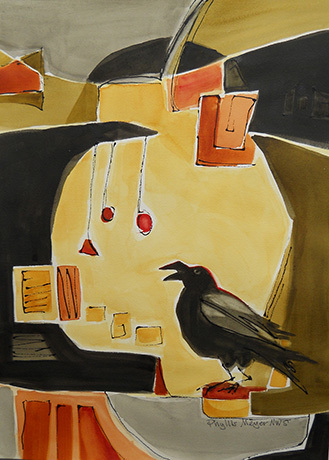 Title: Temptation 7, watercolor, 14x20 (22x28 framed), matted. Click image to inquire with artist about this work. 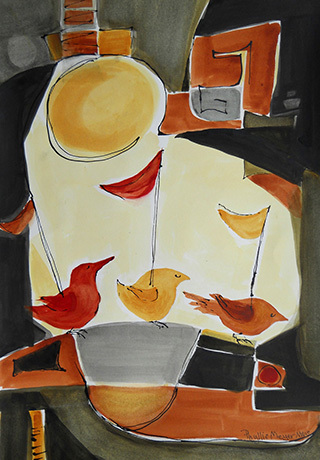 Title: Egg of an Unknown Bird, acrylic mixed, 14x20 on paper (22x28 framed, matted). Click image to inquire with artist about this work. Title: Monument, acrylic, 14x20 on paper (22x28 framed, matted). 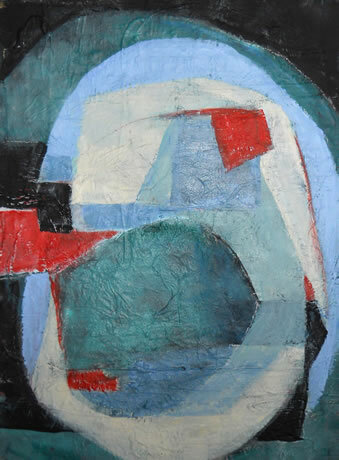 Click image to inquire with artist about this work. 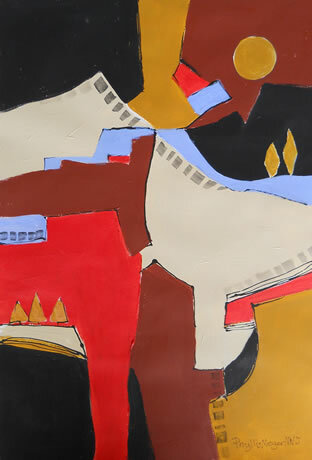 Title: Confluence 2, acrylic, 14x20 on paper (22x28 framed, matted). Click image to inquire with artist about this work. 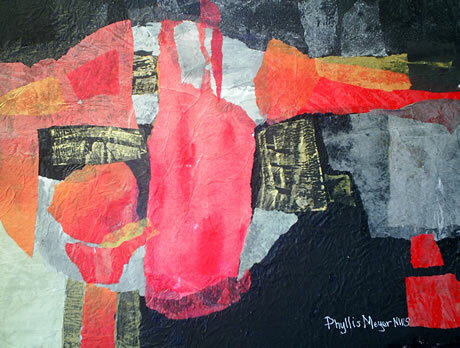 Title: Semaphores, acrylic mixed 14x20 on paper (22x28 framed, matted). Click image to inquire with artist about this work. Title: Construct, acrylic, 14x20 on paper (22x28 framed, matted). Click image to inquire with artist about this work. 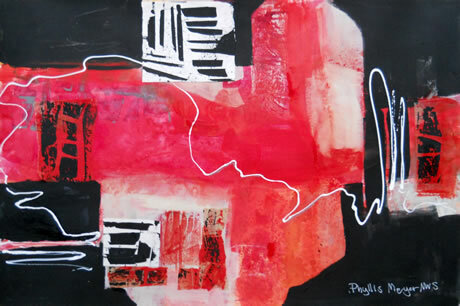 Title: Construct 2, acrylic, 14x20 on paper (22x28 framed, matted). 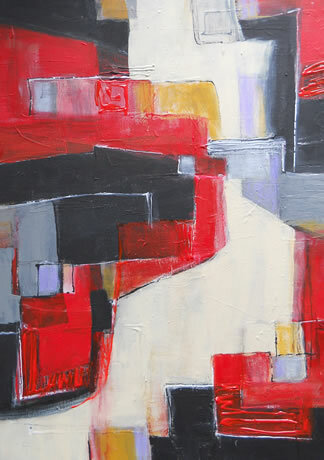 *SOLD* Click image to inquire with artist about this work. 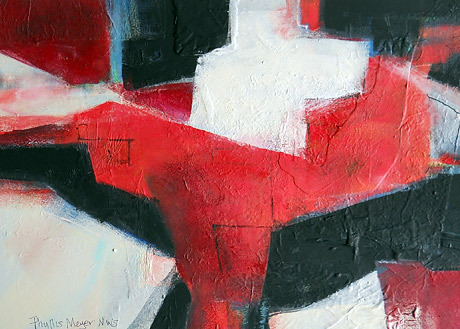 Title: Construct 3, acrylic, 14x20 on paper (22x28 framed, matted). Click image to inquire with artist about this work. Title: Swingtime, mixed media, 14x20 (22x28 framed), matted. Click image to inquire with artist about this work. 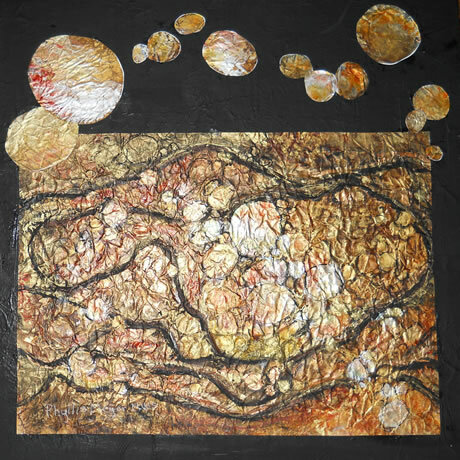 Title: Cave Pearls Revisited, mixed media 24x24 on canvas. 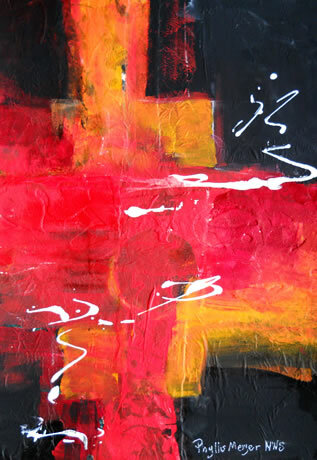 *SOLD* Click image to inquire with artist about this work. 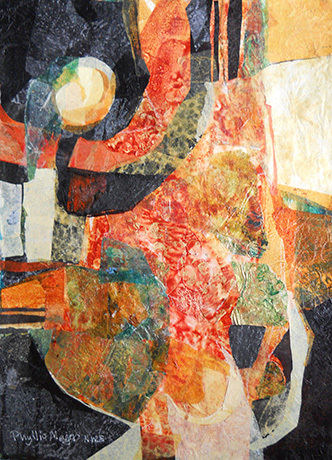 Title: Song of My Heart, acrylic and collage, 14x20 (22x28 framed), matted. 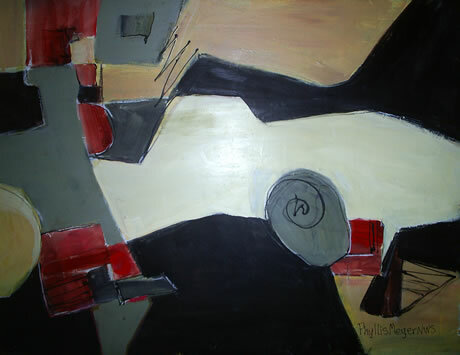 *SOLD* Click image to inquire with artist about this work. Title: In Between, acrylic/collage, 14x20 (22x28 framed), matted. Click image to inquire with artist about this work. 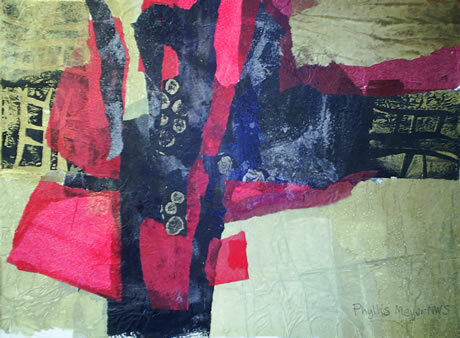 Title: Counterpoint, acrylic collage, 15x20 (22x28 framed), matted. Click image to inquire with artist about this work. 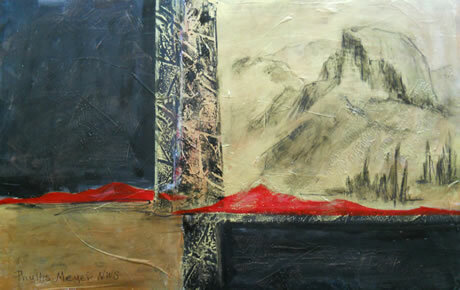 Title: Talisman, acrylic/mixed media, 20x14 (28x22 framed), matted. Click image to inquire with artist about this work. Title: Half Dome, acrylic, 12x18 (22x28 framed), matted. Click image to inquire with artist about this work. Title: Acceleration, acrylic, 14x20 (22x28 framed), matted. 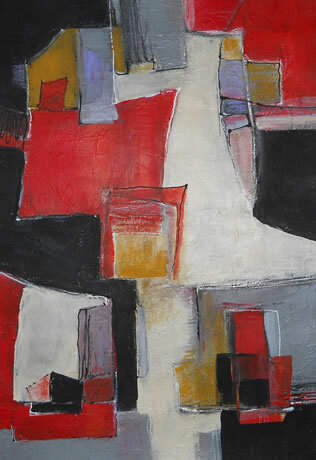 *SOLD* Click image to inquire with artist about this work.